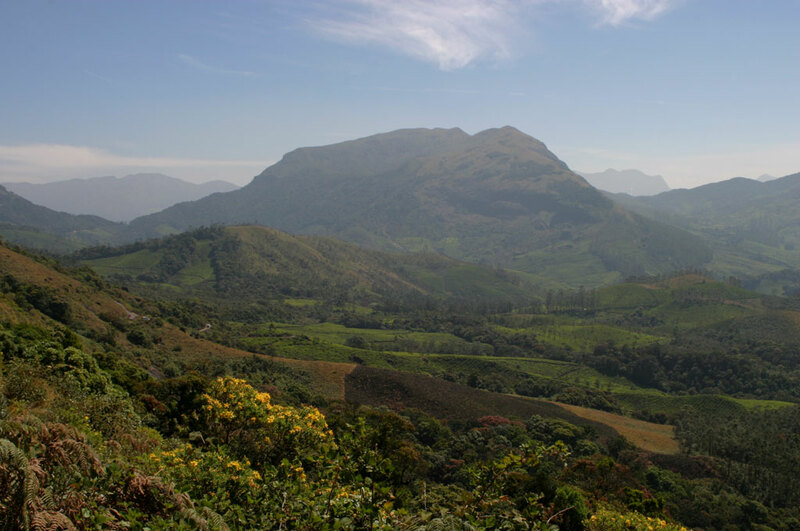 Munnar is set in the hills of Kerala, which were known as the High Range of Travancore. 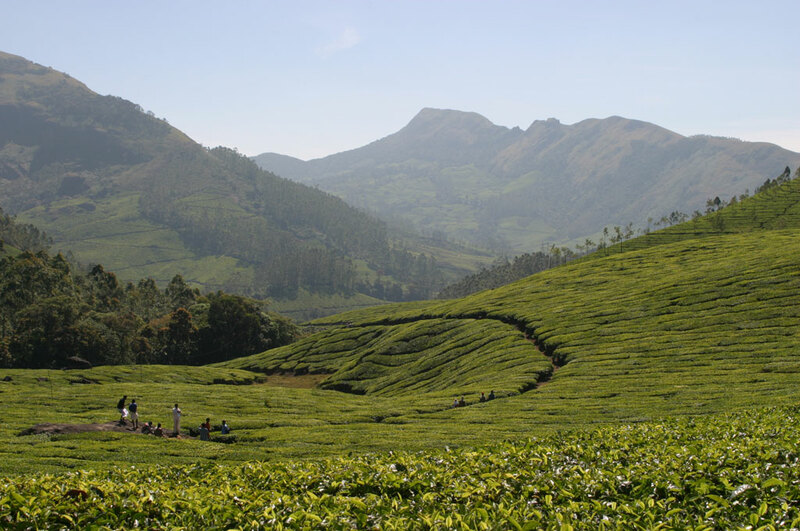 There are substantial tea estates nestling between the peaks, established by the British. 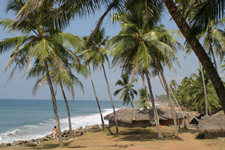 We visited briefly, during a free day after travelling to Adimali, and before our next workshop began. It was interesting to see these estates, in comparison to those of Kericho in Kenya. My overall feeling was one of neglect, with soil erosion clearly apparent on some of the oldest estates. There was interesting intercropping with trees, and limited vetiver planting (to reduce soil erosion). The estates had been operating at a loss for some years. 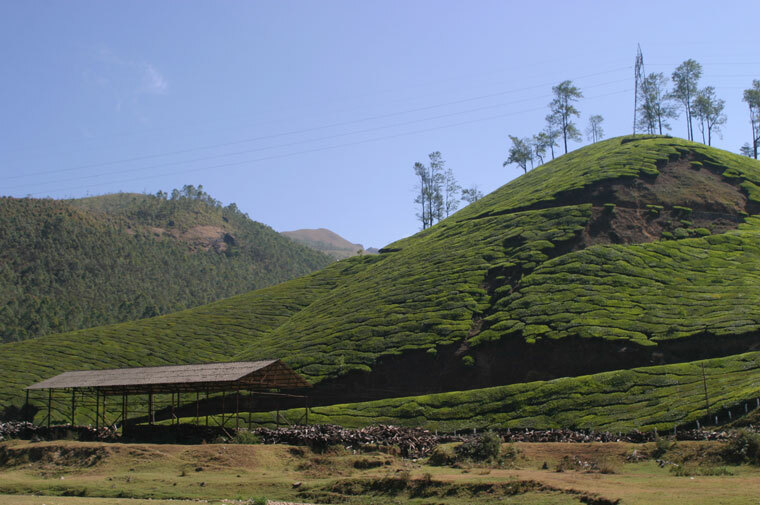 Shortly after our visit the main owner, Tata Tea, annnounced plans to cut back its holdings in India. 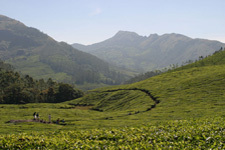 Tea is increasingly grown in China (where it originally came to India from, via the British). 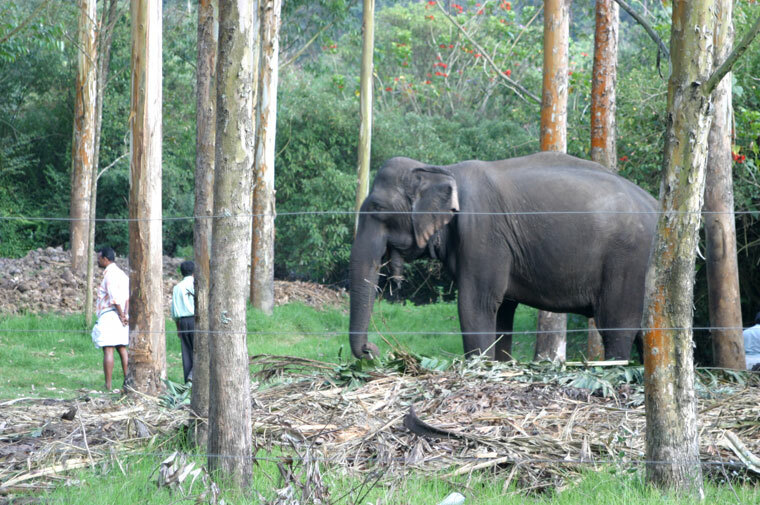 A conservationist friend, Ansil, showed us Erivikulam National Park. 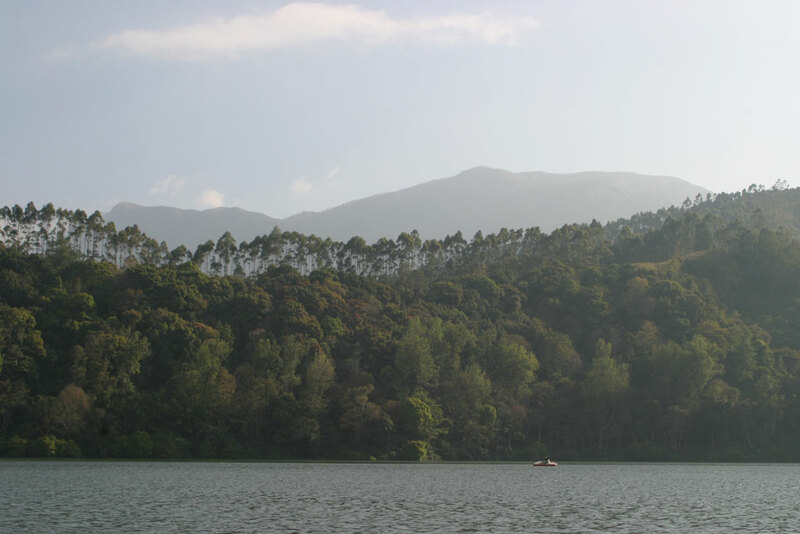 He shared the history of the park, and problems with water pollution from neighbouring tea estates. 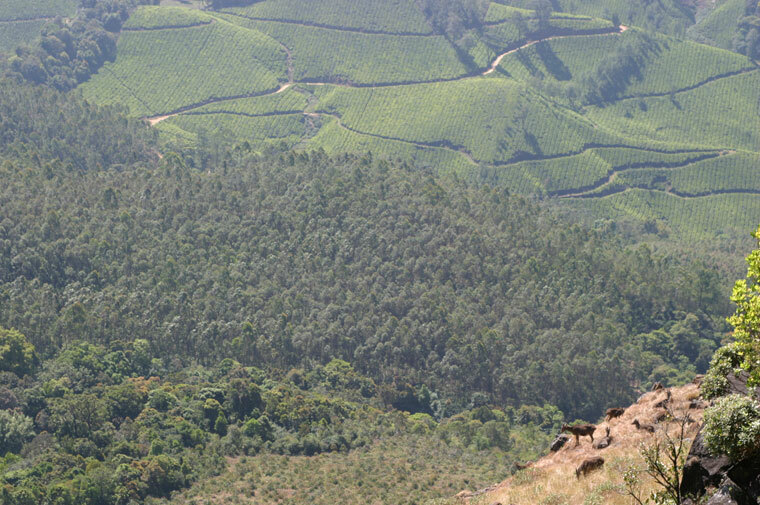 We got a glimpse of the Nilgiri tahr, an intriguing relative of early sheep and goats (bottom right below). 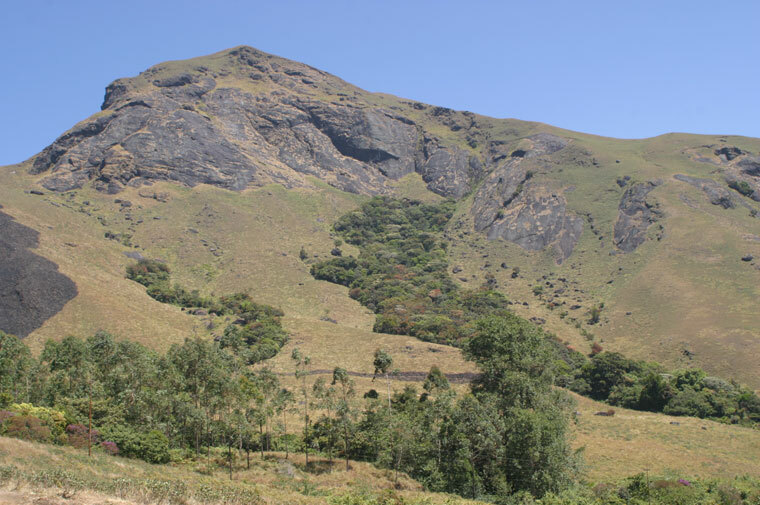 We walked up the side of one peak, but there wasn't easy access to most of the park's hilly grasslands. 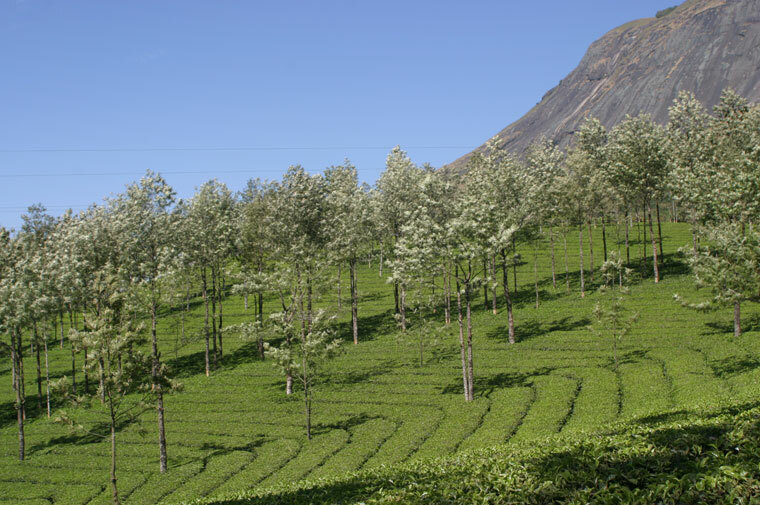 These are man-made - deforested for tea, which ultimately proved unsuccessful at higher altitudes. 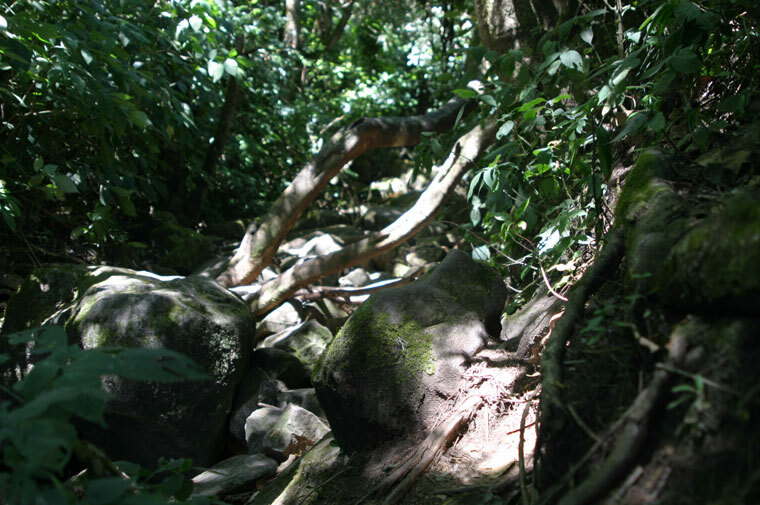 Only pockets of original shola forest remain, dense canopies of its short trees shading in the stream beds. A twelve-yearly flowering of pale blue flowers was due in August, which would carpet the hills in colour. 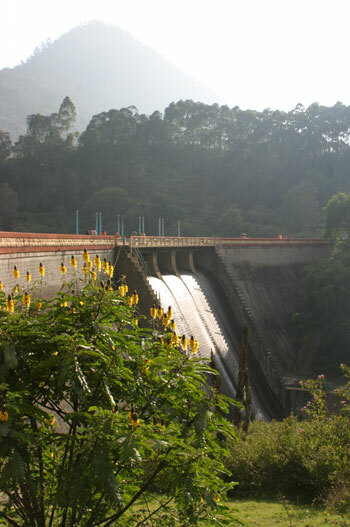 There were a lot of local and foreign tourists around Munnar, at the park and the nearby dams. 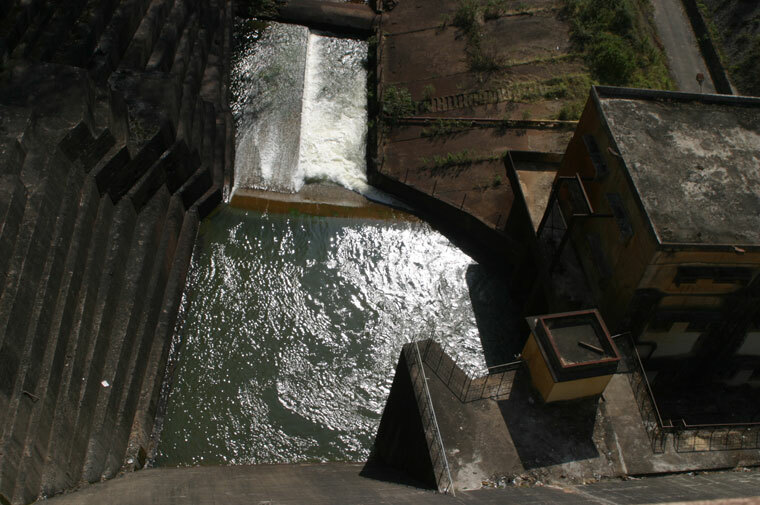 Kerala is full of waterways, dams and lakes. careering round the edges of a steep valley. 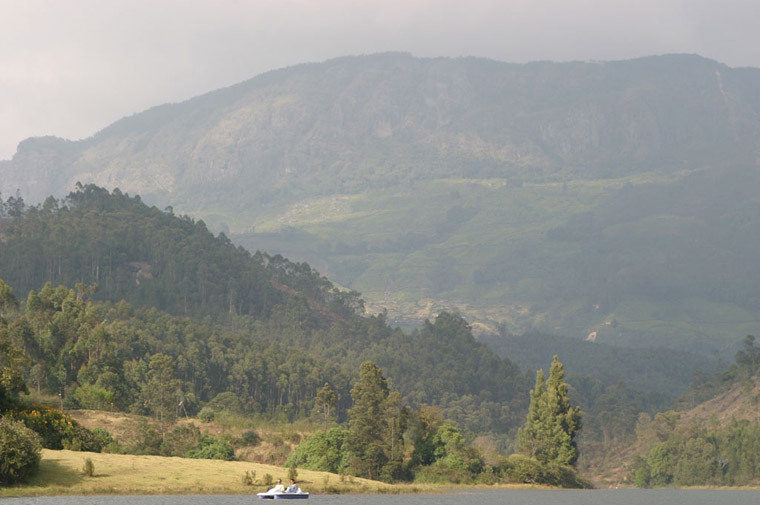 We finished our visit with a relaxed pedal-boat ride, with some beautiful backdrops.